Or, mail a check, made out to "Duluth for Clean Water" to 4220 Cooke St, Duluth, MN 55804. Contributions are not tax deductible. The Board of Directors of Duluth for Clean Water is John Doberstein, (Duluth), Bridget Holcomb (Duluth), and JT Haines, (Duluth). The 2019 Political Committee is: Jen McEwen (Duluth), Leah Phifer (Isanti), Em Westerlund (Duluth), Bella Maki (Duluth), Duke Skorich (Duluth), Patty McNulty (Duluth), Gay Trachsel (Duluth), Bridget Holcomb (Duluth), John Doberstein (Duluth), Elizabeth Bent (Duluth), JT Haines (Duluth), and Deanna Erickson (Duluth). Duluth for Clean Water general membership meetings are convened approximately quarterly and are announced via facebook and email. Our goal is to stop PolyMet, which we believe is too dangerous for the St. Louis River and Lake Superior Watershed. To join Duluth for Clean Water, click this link and fill out the form. 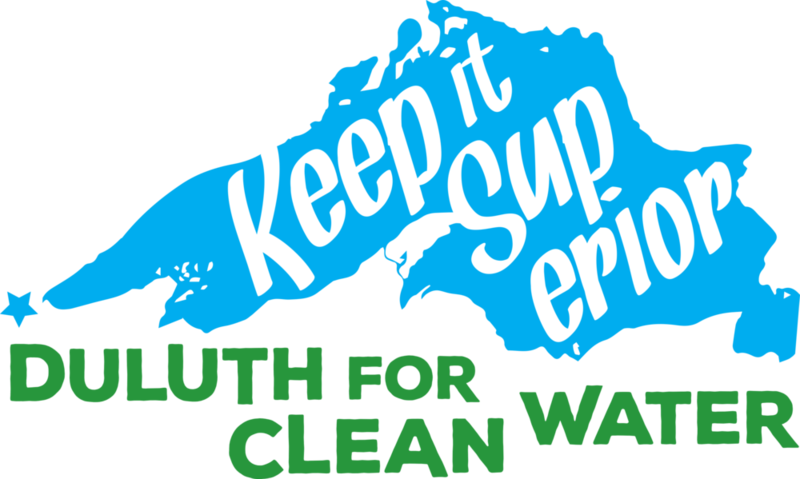 Join our email list for upcoming events and other Duluth for Clean Water updates here.